If your questions are specifically related to eschatology, Christian theology, or general Biblical topics, Dr. Preston will attempt to reply to your emails with a well thought out, speedy response. 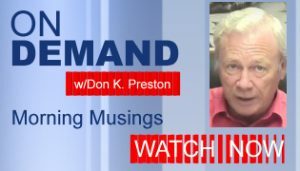 Often times, Don will respond to emails through his videos on “Morning Musings,” or he may post an article on this site (Reader Emails) specifically answering your questions. All private information is kept out of these videos and articles, except with your permission. Please peruse Dr. Preston’s videos and articles and in many cases, you’ll find the answers you’re looking for right there! 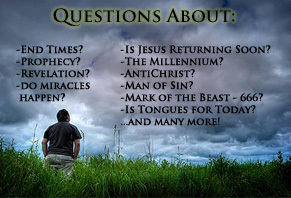 Additionally, PRI also maintains it’s own “Q&A” page on Eschatology.org. You can find that HERE. Here are some helpful weblinks for Q&A sites that may also help you in your studies when trying to find answers to your questions, specifically as it relates to “preterism.” Note that PRI and our affiliates do not support or defend all the views expressed on these sites. If you have any questions about this, please feel free to contact us for clarification.